Love the colors and the light on the foreground. Handsome composition. This reminds me of the flower of Persian silk tree. I like the mysterious blue color and that you have included much of that blue water in your composition. 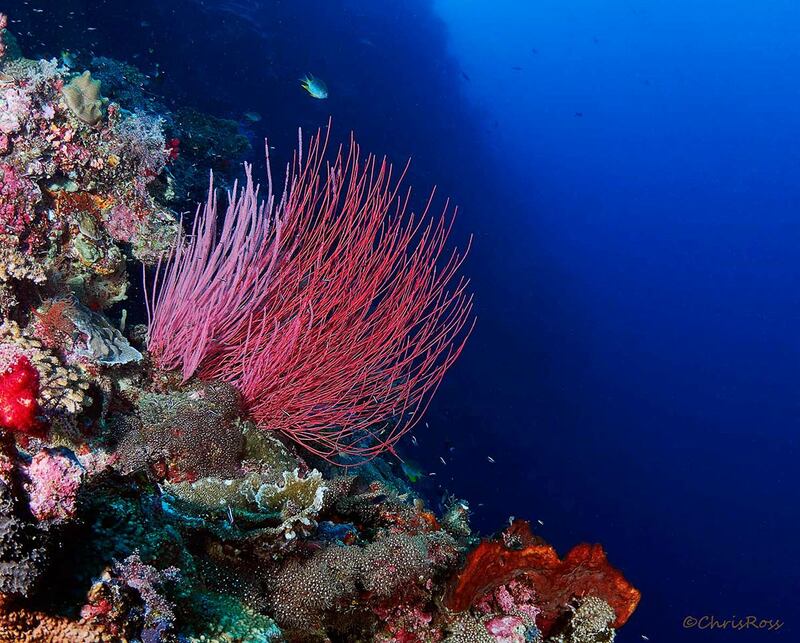 Beautiful underwaterscape, Chris! So much to feast the eyes on.